Valleybrook International Ventures Inc. owns and operates this Web Site and Dealer sites. 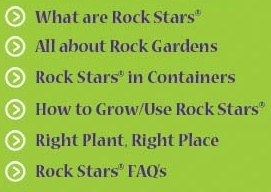 All wordmarks, words, domain names and logos are trademarks and the property of Valleybrook International Ventures Inc.. including without limitation: Heritage Perennials®, Jeepers Creepers®, Rock Stars®, Down Low and Fun To GrowTM, The Best Perennials Come Out of the Blue®, and Valleybrook Gardens®. All other trademarks, product names and company names or logos cited herein are the property of their respective owners. The material contained on this site, including all portions of the Web Site, content, site design, text, graphics, and the selection and arrangement thereof are Copyright © Valleybrook International Ventures Inc. ALL RIGHTS RESERVED.